Yes! Our latest beauty project has landed, and we’re so super excited! So excited in fact, that we’re going to give you the formal introduction you’ll need before they’re released on the site. 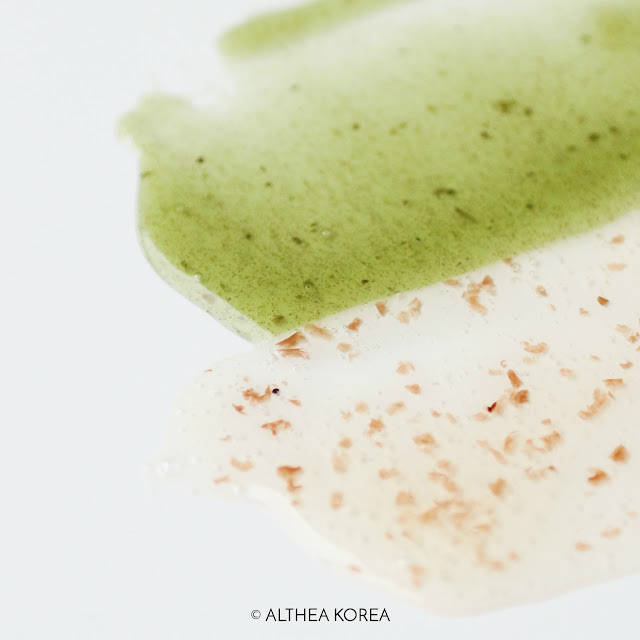 In collaboration with Get It Beauty, Korea's No.1 beauty show, we've created Althea’s Real Fresh Skin Detoxers in Rose and Green Tea edition, and here’s all you need to know! If you’re a modern urbanite that’s running circles around your hectic schedule, then you’re going to love this. We’ve previously broken down the K-beauty routine into a simple 3-step regime with the Bare Essentials line that gives the skin the goodness it needs without additional complications (we’re people who value our sleep too! ), so we know the importance of up keeping your skin on a time budget. The fact is simple: without a proper cleanse, the skin isn’t able to fully absorb nourishment, no matter the ingredient in your skincare. Working hand in hand with the experts from Get It Beauty, we wanted to showcase real, fresh ingredients and incorporate them into a system that allowed a deep, clarifying cleanse while boosting the skin with nutrients and goodness. Thus, the Real Fresh Skin Detoxer was born! The Real Fresh Skin Detoxer is a 2-in-1 pack cleanser that draws out sebum, dirt and residue from the pores while dispensing an array of nutrients to the skin, leaving it fresh, supple and smooth. It comes in two versions: Rose (skin refining) and Green Tea (skin purifying) to suit your needs. The Rose edition contains natural extracts from handpicked roses originating from Grasse, Southern France. These roses only bloom once a year in May, and deeply hydrate the skin. This formula also helps refine the skin, minimizing pores while soothing redness to calm irritations for a healthy, well-rounded complexion. It’s #aesthetic looks also win points with a pink translucent gel that contains real petal pieces to gently exfoliate the skin. The Green Tea version hails from good ol’ Jeju island, using the extracts from young green tea leaves. They’re rich in vitamin C and antioxidants to help protect and brighten the skin. With real green tea leave pieces and finely grounded green tea powder, it also helps to purify and hydrate the skin, removing micro unwanted residue that could clog the pores. How these two beauties work are super simple: apply on a generous layer onto the skin and leave on for 10 seconds. Then, add a little water and massage in circular motions before rinsing off with water. Easy peasy, right? If you’re feeling extra, you can use the Rose Detoxer in the morning to revitalize and smoothen the skin in the morning, and cleanse away any gunk that might be sticking to your skin during the night with the Green Tea one. Whether you're new to the K-Beauty movement, a beauty veteran looking for something new to try or someone who’s hunting for the next big thing from Althea, there’s a Real Fresh Skin Detoxer for everyone. These gorgeous tubes don’t just look good and feel nice on the skin, they are also hypoallergenic (suitable for all skin types) and are cruelty-free, so no cute furry animals were harmed in the process of making these products (yay!). The Real Fresh Skin Detoxers are now live! It's currently on sale in a promo bundle, and you can get both versions in a set for 50% off (add to cart to reflect discount, no code needed)! This collaboration with Get It Beauty is exclusively available for purchase on Althea's site, so be sure to check it out. What do you guys think of this new and innovative concept? Would you like to try it out for yourself? Let us know down below! is it suitable for combo-dryish skin? Wow. Another babies from Althea. Congrats. I hope that Althea makes an eye cream. Thanks in advance. Yes! Would loveeee to try the rose one! Can't wait! It's perfect for waking up your skin in the morning! How much will this cost? :) I'm so excited to buy this! Hi there, unfortunately we don't ship to Korea, sorry about that!